The Meridian spacecraft are Russia’s next generation military communications satellites operating from a Molniya orbit to optimize coverage over the northern hemisphere, covering the entire Russian territory and the arctic ocean. Meridian spacecraft carry an undisclosed number of transponders operating in three different frequency ranges to support a number of communication terminals on the ground, primarily providing military communications. Meridian-7 is the seventh Meridian satellite to be launched. The Meridian program is the replacement for the Molniya Communications Satellite Constellation. The spacecraft are being manufactured by ISS Reshetnev, formerly NPO PM and are based around a pressurized bus system similar to that of Uragan and early GLONASS Satellites. Other components of Meridian such as flight computers and propulsion systems are likely common between Uragan and Meridian. Detailed information on the Meridian Satellites is not available due to the military nature of their mission. Meridian also serves civilian purposes providing communication and navigation services. The Meridian satellite have a launch mass of around two metric tons and feature two solar arrays for power generation. The arrays can be rotated to provide optimized sun tracking and power generation. Having a pressurized section allows for relatively simple thermal control of the various electronics and flight computers that are part of the satellite. Meridian satellites are equipped with different transponders and antennas operating at different frequencies to provide a range of communication services compatible with different ground-based terminals that include mobile and stationary users. The Meridian communications payload covers frequencies in VHF, UHF and S-Band frequencies. The Meridian Program is the replacement for the Russian Molniya program that featured more than 100 satellite launches to orbit over three generations of satellites from 1964 to 2005. Molniya Satellites and the new Meridian spacecraft orbit Earth in a highly elliptical orbit with an apogee of over 39,000 Kilometers located above the northern hemisphere to allow the satellites to provide ground coverage of that region. The perigee of the orbits ranged from 450 to 600 Kilometers in the early stage of the program to over 1,000 Kilometers later in the program to avoid deterioration of the orbit due to drag at the low perigee that would lead to a rapid decrease in apogee altitude. The orbit was named after the satellites and has ever since been called Molniya Orbit. The launch vehicle that launched the bulk of Molniya satellites was also named after them. Like the Soyuz, Molniya launchers were based on the R7 ballistic missile. The orbital design of Molniya orbits requires an inclination near 63.4 or 116.6 degrees with a period of half a sidereal day (~12 hours). Choosing an inclination of 63.3 or 116.6 degrees allows the satellite to have a constant argument of perigee of 90 or 270 degrees because the orbits are not perturbed by the gravitational field of Earth (J2 term of the Geopotential Model). This allows the satellite to have a constant perigee and apogee location on Earth over the course of its mission – for Molniya orbits, apogee is located above the northern hemisphere. Relative to Earth, the satellite’s speed is slowest at higher altitudes, meaning that the spacecraft spends the majority of its time around apogee. Communication satellites in Molniya orbits operate for eight hours per orbit centered around the apogee passage. In order to achieve a continuous communication capability over the northern hemisphere, at least three spacecraft in Molniya orbits are required with appropriate spacing in right ascension of ascending node. The major benefit of a Molniya orbit despite being less energetic than GEO is the coverage of the polar regions which is in many cases not possible from Geosynchronous Orbit due to low elevation angles. The first Molniya Satellite was launched on June 4, 1964, but failed to reach orbit due to a launch vehicle failure. The second Molniya-1 Satellite did not have better luck, after achieving its orbit, it failed to deploy its communication antennas, rendering the spacecraft useless. A total of 100 Molniya-1 satellites were orbited over a 40-year period, going through regular modernizations featuring Molniya-1+, 1S and 1T Satellites. Molniya satellites were launched using the original Molniya launcher from 1964 to 1966 before switching to the improved Molniya-M rocket with a Blok-ML Upper Stage. One Molniya-1 spacecraft was delivered to Geostationary Orbit via a Proton-K flying with a Blok-DM Upper Stage. In the mid-1970s, 19 Molniya-2 satellites were launched that were part of the YeSSS communications system that provided telegraph, telephone and radio transmissions for the military. Originally, Molniya-2 was planned to replace the first generation of satellites, but the initial system was found to be working well so that no replacement was needed. At least eight Molniya satellites were operational at any given time, orbiting Earth in four planes with two spacecraft per plane, properly spaced to allow continuous communication services. Molniya-3 satellites were launched between 1974 and 2005, originally being a civilian system providing Orbita Television Broadcasting featuring a constellation of four spacecraft. 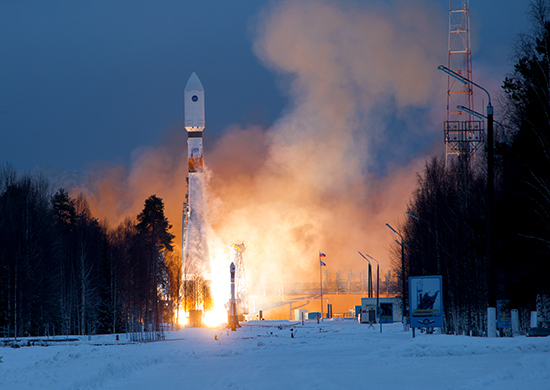 Later, Molniya-3 spacecraft replaced the second generation of vehicles with the number of operational satellites being increased to eight to support the YeSSS unified communications system. A total of 56 Molniya-3 satellites were launched, two of those were delivered to wrong orbits. The final launch of a Molniya satellite occurred on June 21, 2005 when a Molniya-M/ML launcher blasted off from Plesetsk on a Mission to orbit a Molniya-3K satellite. However, the satellite did not achieve orbit because the upper stage failed to separate from the launcher. With the Molniya program having a troubled end, the start of the Meridian Constellation was no different with the initial two satellites not achieving their mission objectives. Meridian-1 was launched atop a Soyuz 2-1A on December 24, 2006 from Plesetsk. Seven hours after launch, the Fregat Upper Stage delivered the satellite to its desired Molniya Orbit of 1,012 by 39,816 Kilometers. The satellite deployed its solar arrays and communication systems and began its in-orbit testing phase that included raising that craft’s perigee to nearly 2,000 Kilometers. On February 1, 2007, the satellite entered operational service, providing military communications. Two and a half years into the mission, it was announced that the satellite failed well before the end of its anticipated life span. 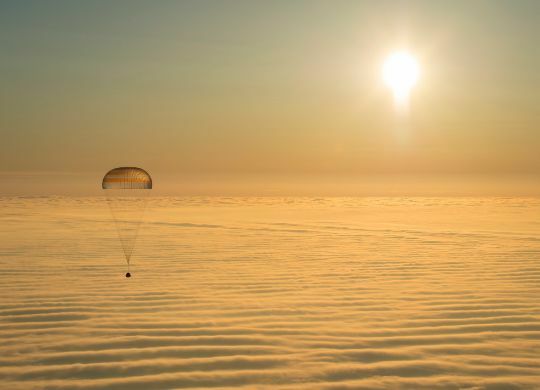 Satellite operators blamed the loss of the vehicle on a collision with space debris. 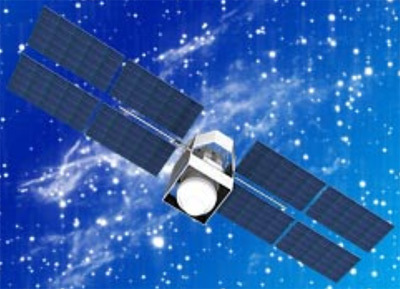 The second Meridian Satellite was launched on May 21, 2009, but a problem with the Fregat upper stage (faulty propellant utilization) resulted in the satellite being deployed into a lower than planned orbit of 275 by 36,473 Kilometers. Meridian 2 successfully deployed its solar arrays and antennas following orbital insertion and initiated communications with the ground. Despite the satellite being operational, the spacecraft did not reach a usable orbit and the mission was eventually declared a failure. Meridian-3 was orbited on November 2, 2010 and started operational services as planned, being delivered to a Molniya orbit with perigee well above 1,000 Kilometers. Starting with Meridian-3, additional transponders were added to the system and the overall operational life expectancy was increased to seven years. The fourth bird of the Meridian Constellation was launched on May 4, 2011, achieving its desired orbit and beginning operations several weeks later. The next launch of the Meridian program occurred on December 23, 2011 and topped a year of Russian Launch failures as the third Stage of the Soyuz 2-1A Rocket suffered a failure of one of the four combustion chambers of the RD-0124 engine with the powerplant being shut down via emergency commands leading to a loss of control, sending the vehicle into a tumble back to Earth with debris falling in the Novosibirsk Region. The sixth Meridian satellite was launched successfully on November 14, 2012, reaching its target orbit and beginning operations as planned, also adjusting its orbit by raising the perigee and modifying the apogee. 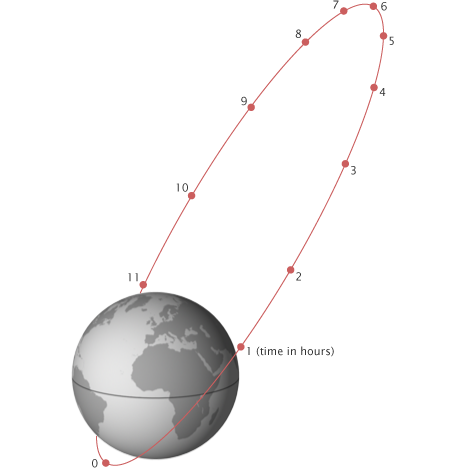 As of mid-2014, four Meridian satellites remain in a precisely controlled orbit with a period of 11.96 hours with perigee altitudes ranging from 1,480 to 2,475 Kilometers and apogee altitudes varying between 37,880 and 38,870 Kilometers. Meridian 2 is an a 10.69-hour orbit – it is unknown whether the satellite is in partial use or considered a complete failure.